With demanding and evolving needs of manufacturing, every industry require solutions that accelerates processes and operational ease. Mobile workstation or industrial mobile cart makes manufacturing processes convenient and efficient. Arista recently introduced its latest model, ARP-3821AX-E01 mobile workstation. 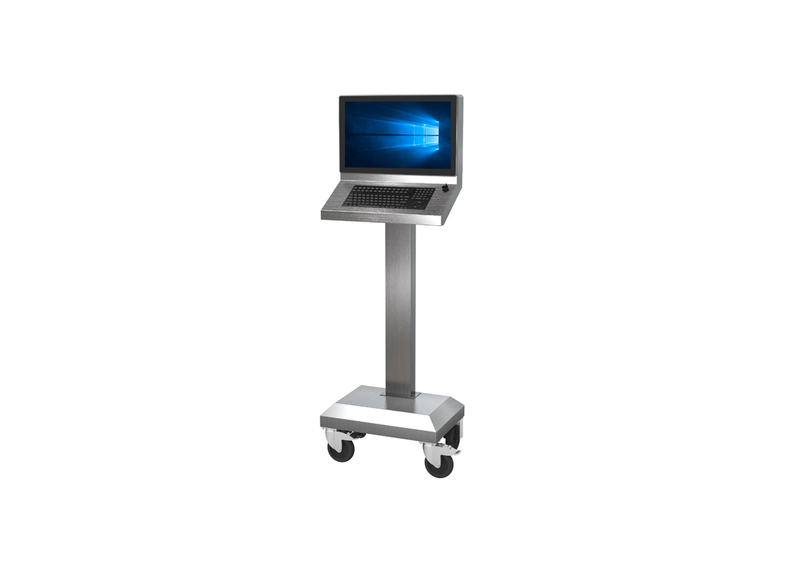 This unit is a fully enclosed IP65 NEMA 4X stainless steel panel PC integrating latest technologies, including wide-screen FHD 1080p LCD display, Projected Capacitive Multi-Touch, Intel lower power E3845 Atom CPU. There are different configurations of industrial computers available, this usually varies according to the environment and industry the unit will be used in. Powered with external smart battery, AMW 1321AX-E01 mobile workstation is designed ergonomically and suits variety of environments. Arista AMW 1321AX-E01 mobile workstation is engineered with latest technology-driven features and operational accuracy. This industrial mobile workstation is powered with external batter and Wi-Fi connection options. Check out below detailed features of AMW 1321AX-E01 industrial mobile workstation. For detail specifications, please visit product page here, for any questions or concerns email our sales team at sales@goarista.com.You can also reach us at our toll-free number 1.877.827.4782.